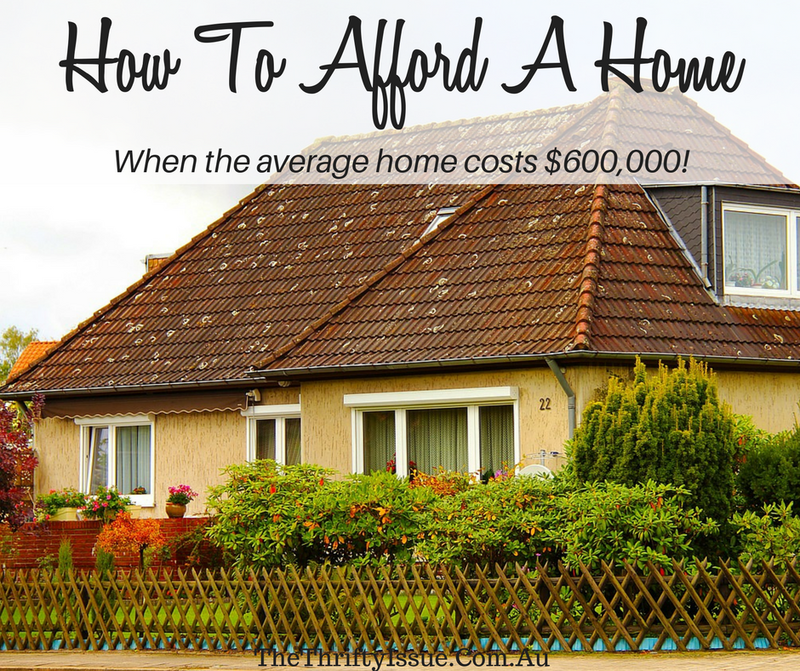 How can you save for a house deposit when the average Australian home costs over $600,000? House prices vary drastically, various reports I have seen indicate the median price across Australia is over $600,000 with Sydney being around $1,000,000 compared to Hobart sitting under $400,000. What do you need to buy your home? The deposit is the first thing most think of when discussing what you need to buy a home. On top of a deposit you also need stamp duty, legal fees, lenders mortgage insurance (if you have less than a 20% deposit). Then there is home and contents insurance, connection fees, a buffer for maintenance/unexpected repairs plus furnishing the house. In this post, we discuss each of these expenses plus how to save money and make some extra cash to make buying your home possible. With a median house price of $600,000 you need $120,000 saved to avoid LMI (Lenders Mortgage Insurance). A 20% deposit usually results in more mortgage options, lower interest rates and will save you money over the term of your loan. The minimum deposit required is typically 5%. For this article, we will base everything on a 10% deposit which would be $60,000. Based on a $600,000 home the stamp duty and government costs varied from $14,000 to $33,000, with it averaging to $24,685 across the states and territories. Check with your state for your fees. Fees from the lawyer cost an average of $1,500 across all states. You should also allocate $500+ for building and pest inspections which vary from state to state. When buying my first home there were a few issues in the building report which made me question buying the property. I was so invested in it though I ignored my gut. Big mistake. I know others who have bought without an inspection and regretted it after they had purchased and moved in then discovered repairs needing to be done which cost thousands. Using an online calculator it came up with $13,392 for LMI with a $60,000 deposit on a $600,000 home. A rough guide is usually around the $600 mark for setting up a mortgage. Home and contents insurance is needed typically before the settlement is finished. You also need to furnish the property which can be done for very cheap or cost thousands. Connection fees for everything such as water, electricity, gas, telephone, internet and anything else you might need often costs $100+ each. Lastly, an emergency fund or buffer in case of repairs needed is a good idea to have. A total of around $10,000 to $15,000 is a good rule of thumb here to cover all of these extras. Based on the above, $110,677 is how much you would need to buy a home. This is more than the average Australian annual income. This does not include any grants, rebates or discounts you might be eligible for. How do you save the money? With our above calculations, you would need $110,677 minimum. It seems high, however, it is good to have a starting point or something to aim towards and by the end of this article, your actual amount should be much lower! 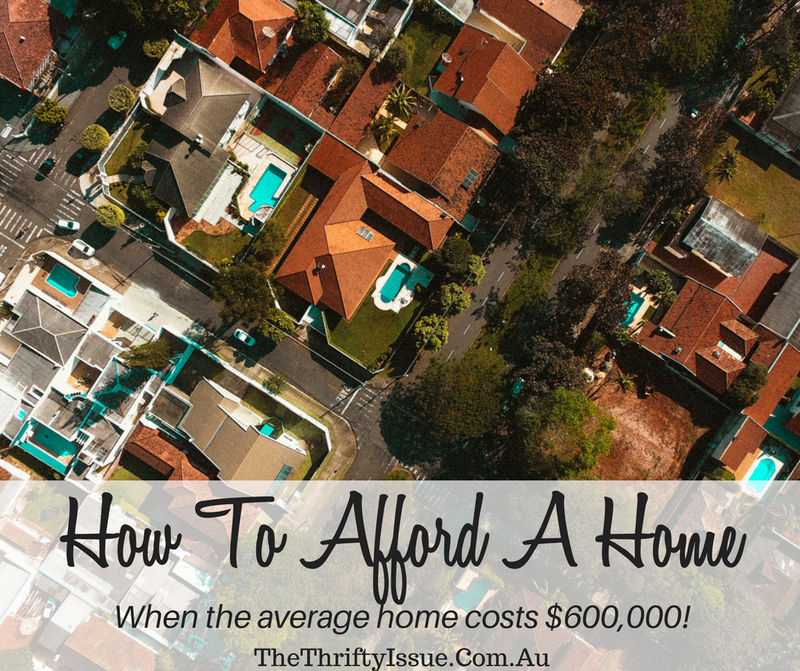 Although the average home might be $600,000 you probably don’t need to spend that much. Write a list of what you need in a home, areas you would be happy to live in, things you want in your community and what sort of lifestyle you want then work with that. Sometimes it is significantly cheaper to buy a home that has the right layout for what you want but needs some renovation work to make it look like you want than it is to buy a brand new home. What is important to you in a home? How much can you afford to spend without stretching yourself too thin? Just because a bank will lend you $600,000 doesn’t mean you should get a loan for $600,000. Get the home you want within your range of affordability. Go to some open homes within the price range you can afford to get an idea of the sort of home you will buy and adjust your goal price accordingly. How much are you spending and where can you make cuts? If you have never worked out a proper budget write down your income vs expenses and track how much you are spending in each area for a few weeks or go over your bank statements to see how much you spend and on what. After going over every area of your budget, work out how you can cut expenses. We have many posts to assist with this such as 50 ways to live for free – it covers how to get things for free in different areas of your budget, 10 tips to help you stop spending, 6 months no spend challenge and more. Cut out takeaways, coffees and excess junk food. Not only will you save money, you’ll be healthier too. Review your bank statements to see if you are paying for anything you shouldn’t be such as old subscriptions or direct debits for services you no longer use. I know of people who have paid double for their insurance because when they switched insurers they forgot to cancel their old insurance. Check PayPal subscriptions and cancel ones you don’t need. Menu plan and shop with a list. Plan out each meal, including snacks, stick to the menu and shop accordingly. This reduces waste and if you plan properly, with food that is in season, you can save significant amounts of money on groceries. Compare all your providers including all your insurance such as health, home, contents, travel, life, car etc. Check electricity, gas, phones, internet, any service you use, compare it to ensure you are getting the best rates for where you live. Also, if you have a pension card, check to make sure they are applying your discount if the providers offer a discount for pensioners. If they offer it and haven’t applied it, ask them to add it plus ask if they will back pay the discount for however long you have been eligible for it. Get organised by scheduling your bills, automating your savings, planning family entertainment ahead of time and being aware of your upcoming expenses. Realistically, you can only cut your expenses so far, however, your potential to earn income is limitless. What skills, interests and options do you have that you could make money from? Sell off anything you can such as unused Tupperware, clothes you no longer wear, video games etc. Read how to sell your used stuff, read my eBook on how to make $10,000 in a month reselling stuff or the $20,000 Flip Challenge for more tips. Rent a room if you have space or try other methods in this article to make money from your home. Do odd jobs such as cleaning, gardening, ironing, babysitting etc. Check out GumTree and Airtasker to find jobs or put up flyers in your area. Check out 51 ways to make money from home and start doing some. Try online surveys, it won’t make you rich, but the 4 in this article can net you $1,000 in a year. Mystery shopping and market research surveys pay between $10 and $200 in my experience. Run webinars, do freelance writing, develop a solid social media or online presence and get sponsorship, do affiliate marketing or make money blogging. Get a second job such as night work at the local supermarket, restaurant, reception work in gyms, hospitality work, cleaning, home carers etc. Start looking at how you can bring in more income then put this income towards your house deposit savings. With no specific skills if you rented a room for $200, did 10 hours of odd jobs such as gardening (around $50 per hour whenever I have looked into it) or cleaning (around $30 per hour), you would bring in $500 to $700 extra a week or $26,000 to $36,400 a year (excluding expenses and tax). Work out how much you need, how much you can save, how much extra money you can bring in then use those amounts to determine how long it will take you to save for a house deposit. Prices do go up and down, so if it is going to take you 5 years to save, you may need to save a little more. If you aren’t saving anything though, in 5 years you will still be in the same position. If you managed to cut your expenses further and increase your income a few ways you could do this quicker. What are you doing or what did you do to save for a house deposit?